Khonoma is a loner’s paradise. 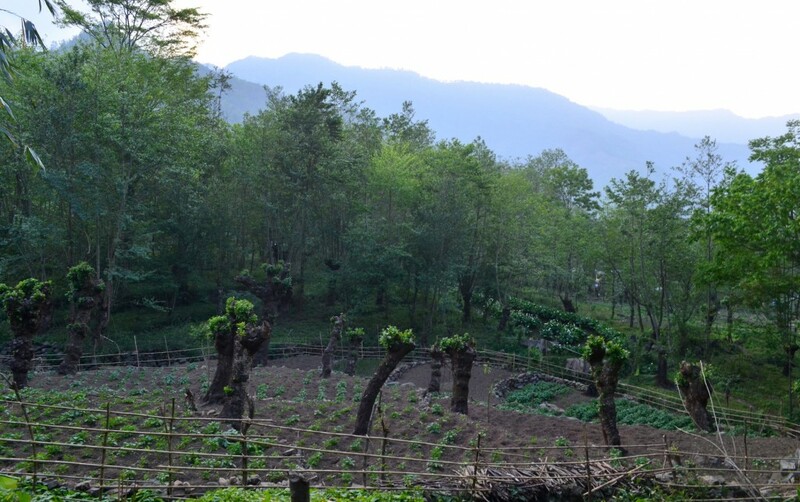 From the capital city of Kohima, the quaint little village is about 20km away. Khonoma is a loner’s paradise. 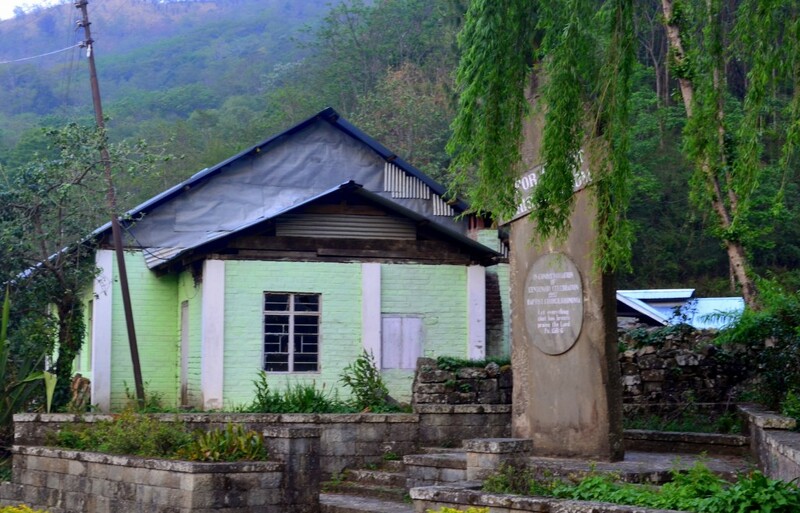 From the capital city of Kohima, the quaint little village is about 20km away. Kohima is just a cab’s ride away from Dimapur, which is equal to about 4 hours from Guwahati via train. These are intercity trains that run everyday from the Guwahati Paltanbazar Railway Station to Dimapur. For those who are willing to explore options ‘more than just Shillong’ from the Guwahati, Khonoma can be a perfect retreat! Tucked away in the hilly terrain of the Japfu Mountain peak in Nagaland, Khonoma is home to almost 3000 people spread over approx. 600 houses. 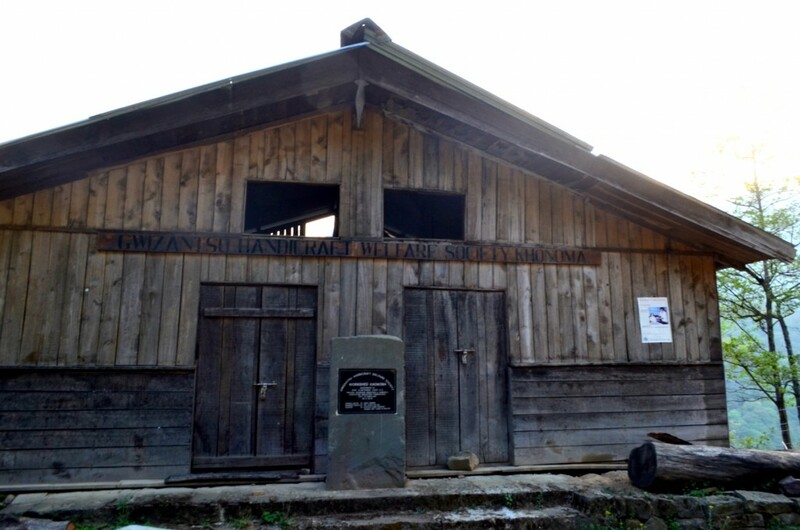 Historically, Khonoma is roughly 600 years old and is argued to be one of the oldest villages in Nagaland. It is also India’s first Green Village. 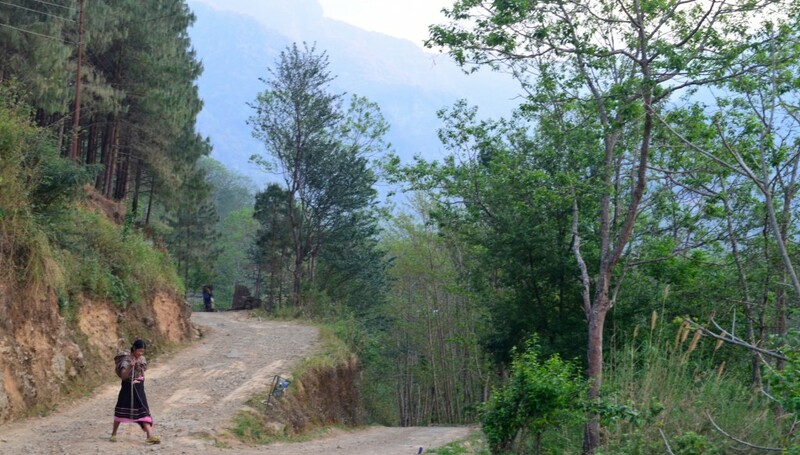 Home to the Naga Angamis, Khonoma is a land of scenic wonder and a weekend there can truly be a learning experience for those who love to trek. 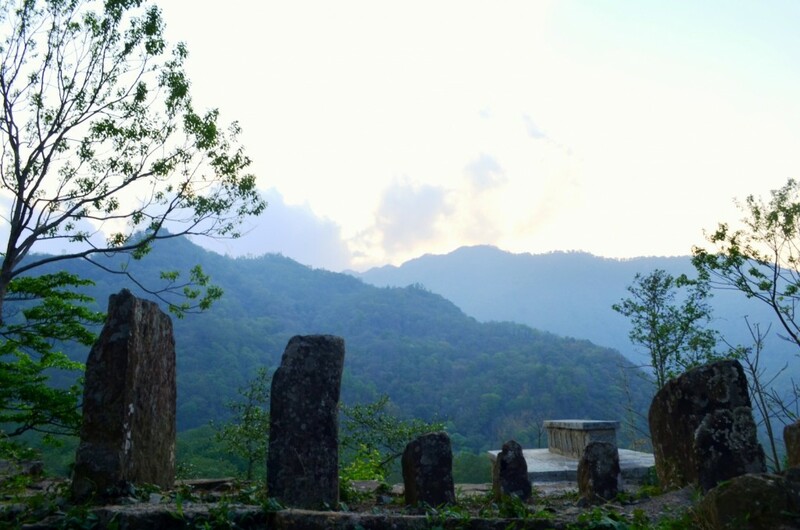 Intertwined in a history that goes back centuries, Khonoma as a place is as exciting as can be. On reaching there, one can spend the day walking around the village and soaking in the vivid flora and fauna. The village is a paradise for bird enthusiasts. The conservation of the Blyth’s Tragopan, the state bird of Nagaland was first initiated by the Khonoma Nature Conservation and Tragopan Sanctuary (KNCTS) in 1997. Since then, hunting in these regions have been declared illegal and Khonoma has since been an example of how a village lives in harmony with nature. Being a hilly region, step farming and terrace rice cultivation is also quite common. The entire place is filled with historic structures and each structure here has a small story attached to it. Moving around is not an issue as most of the locals speak English and are always ready to help if anyone is lost. Also, being a relatively small place, it is unlikely that anyone will easily lose track. Visitors can spend a whole day simply walking around the place immersed in its beauty and getting to know the model village in our times. Evenings are quiet in a place like Khonoma, which can grow really windy. A jacket is a must for anyone traveling to Khonoma as these winds can cut to the bone. Most of Khonoma’s families usually open their homes for home-stays. In such a place, where hotels are rare, this becomes not only a means for self sustenance and revenue for the locals but also, a night to experience authentic Khonoma style of living. 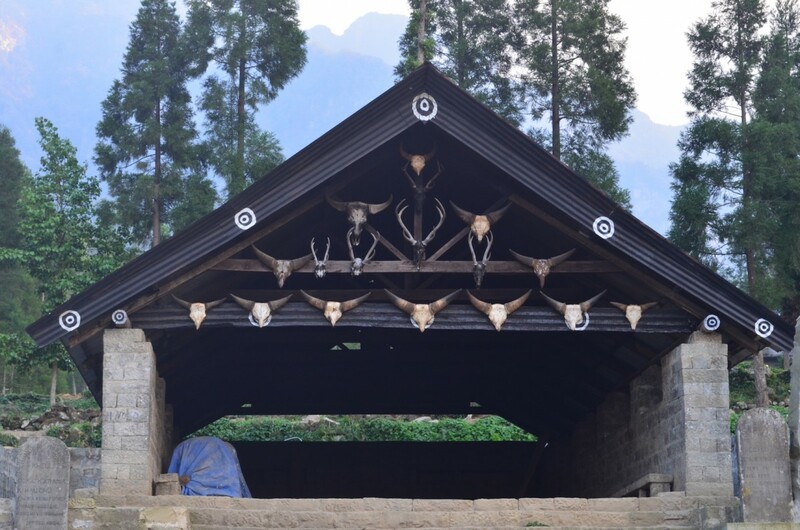 This paves a way for outsiders to actually see and experience the vast diversity that is the Northeast India. The houses in here are mostly constructed of wood because of the high velocity of winds. 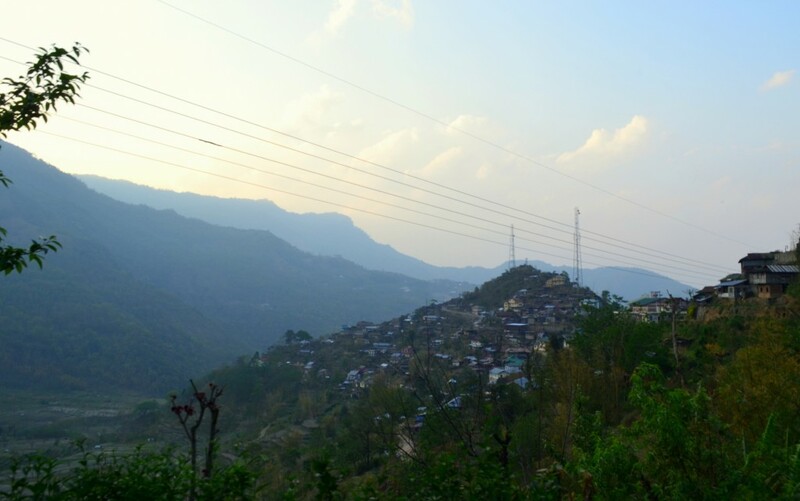 Most of the houses are well equipped with rock steady balconies and in the evenings, one can enjoy the view of the capital city of Kohima below, that lights up slowly like a little hallmark card. Evenings are, otherwise unfruitful. Being a small place, Khonoma can be covered just walking, and walking around this place has been one of the most fulfilling experiences I have had in a really long time. On my first visit, on just entering Khonoma, I was welcomed with such warmth by one of the locals, that it sealed my return. That’s the beauty of Khonoma! The sense of harmony that the people here live with, should be a lesson to us all. Everyone and I mean, every single person in Khonoma is devoted to a sense of community seen nowhere else. It can be rightly argued that, this community well-being is not a rare sight in small places. However, what sets Khonoma apart from the rest, is not the blind acceptance of the outside world, but doing so in the true commutative spirit of the word. 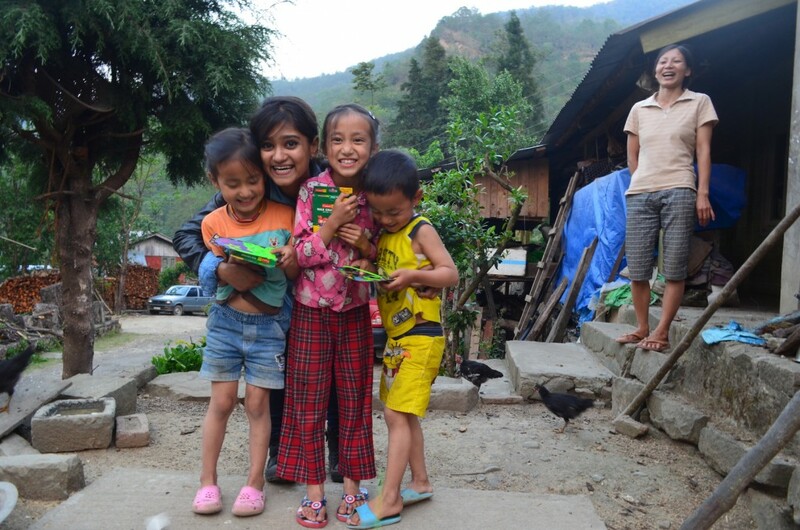 This is reflected in the home-stays that usually pave way for immense interaction amongst the locals and outsiders. Conversations off the menu with the locals, will include British invasions of the Northeast, imperialism and it impacts on the Naga people and the struggle for a community of people to wholly accept the westernization that comes with Christianity (Nagas were one of the biggest groups to convert to Christianity). Even though English is spoken by everyone in Khonoma, there are still people who will refuse to use it, considering it disloyal. My guide explained to me that this was because of the rapid modernization that has come with Christianity. “Too much influence of the West is the reason most of our tribal roots are forgotten. We Nagas have a very different, very vivid history which is sadly being wiped out. Most people still find that hard to accept.” On the other hand, one of my home-stay neighbors, who later also became my friend, corrected my vocabulary, “It’s pronounced e-ll-é-phant, not e-ll-ey-fant,” stressing his obvious superiority, pride and command over the most colonial language in the world. The dichotomous struggle of two cultures became so evident for me and it reminded me of one of my favorite writers Chinua Achebe who in his novel Things Fall Apart describes a mighty African culture that fell apart after British colonialism. According to him, the most violent of communities, are usually the ones that fall prey to the most rapid change. In this process, according to Achebe some old traditions are left behind. This is true for most evolving cultures. A weekend get-away to Khonoma, for any one from Northeast, can be one of the best ways to know more about the diverse history of our land. A simple train ride from Guwahati, Khonoma should definitely be on one of your weekend agendas. Just read up a little about the place and once there, show a little respect to the people – e.g., seek their permission before clicking photographs. All image courtesies go to the author.